Technical Assistance is the work that strengthens our communities and increases the capacity of our tribal programs to serve and support survivors of violence. 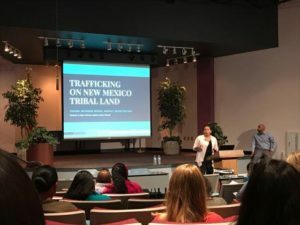 The Coalition can provide individualized training and assistance on a wide range of topics related to violence against Native women and children, grant management, organizational growth and development, community planning and policy development—amongst other specialized topics that seek to strengthen community initiatives. Contact us to learn more about how we can tailor a training specifically for your needs. Priority for requests are given to CSVANW members and member organizations. If CSVANW cannot meet a training need or technical assistance request, we have access to statewide and national resources to help you. Our technical assistance is geared to meet the needs of our members across the region to build capacity, cultivate and foster collaboration of our programs to support survivors, families and communities. Please contact Kim Benally, Training and Development Manager at info@csvanw.org or (505) 243-9199 to request training or technical assistance.